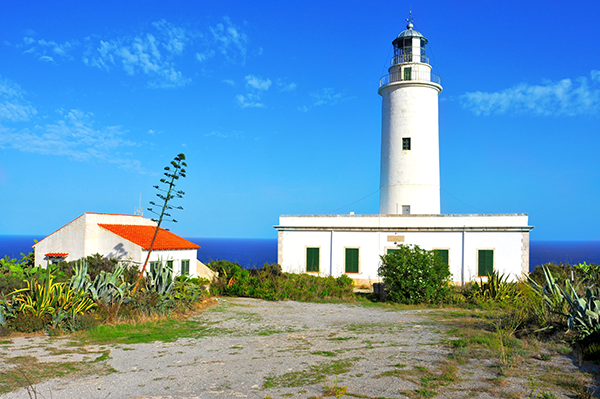 Formentera is the ‘less-is-more island’ with a boho chic vibe that attracts thousands of people every year. Take the ferry from Ibiza town and you’ll reach the little harbour of La Sabina in less than 30 minutes. This tiny island of just 22km is easy to discover in 24 hours. Once you reach the port we recommend you hire bicycles and scooters so you can explore the island. But where to start first? Kick off the day with a good breakfast that will help you start your adventures in Formentera the best way ever. Blat Picat has a fantastic range of coffee and juices that are the perfect combo for a Mediterranean breakfast. There’s also good vegan options! This long extension of beach could be mistaken for being in the Caribbean. You’ll find this beach in any listing of the best beaches in the Mediterranean if not the world. 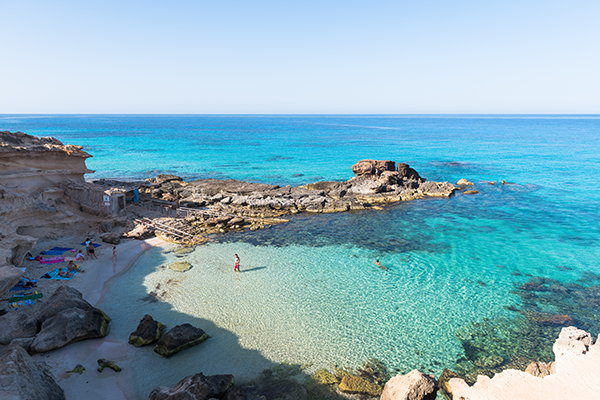 Alike the Caribbean waters , the ones in Formentera are just as clear, but much more refreshing to bathe in. Be careful, you may never want to leave! A few steps just opposite Illetes, you’ll find Llevant long beach which is just divine as the first one. It is more common on this one to have strong winds so heed the warning flags and be careful when taking a dip. If you’re going down there with your friends make sure you go to Beso Beach for the most fun experience as the crew starts dancing with customers while eating a delicious paella. You’ll find the restaurant in the very first line of the beach. 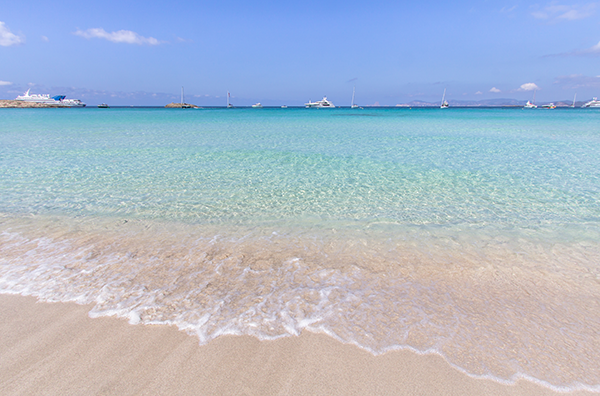 El Tiburon Formentera is being there for the last 28 years to make sure it keeps the authenticity of the island. Enjoy the amazing views and the fresh fish that is served on a daily basis while you feel the sand on your feet. Bon Appetit! 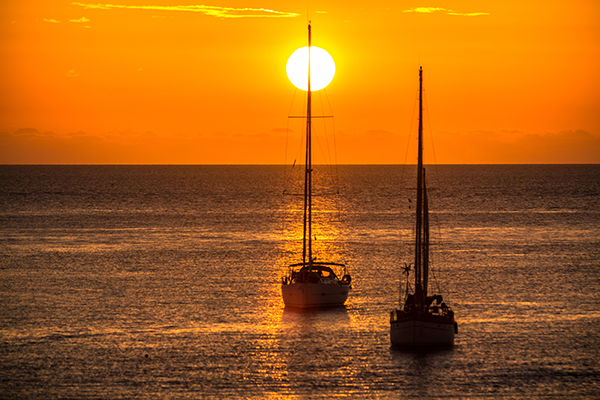 Perfect for an evening setting, Cala Saona is the best place to watch the sunset. Can you picture it? Amazing skyline, the orange colour tones of the sea, a cold beer in your hand, the quiet walk back along the sand…how romantic! Good for the the artisans’ market on Wednesdays and Sundays afternoons. With a cosmopolitan vibe – this is the one and only cultural event where all types of people meet up. You’ll find jewellery, vintage clothing and local food. You’re welcome!